Make a lasting difference in the life of a kid through your sponsorship! This is not just any faceless kid in a crowd, but a real teenager from your area. 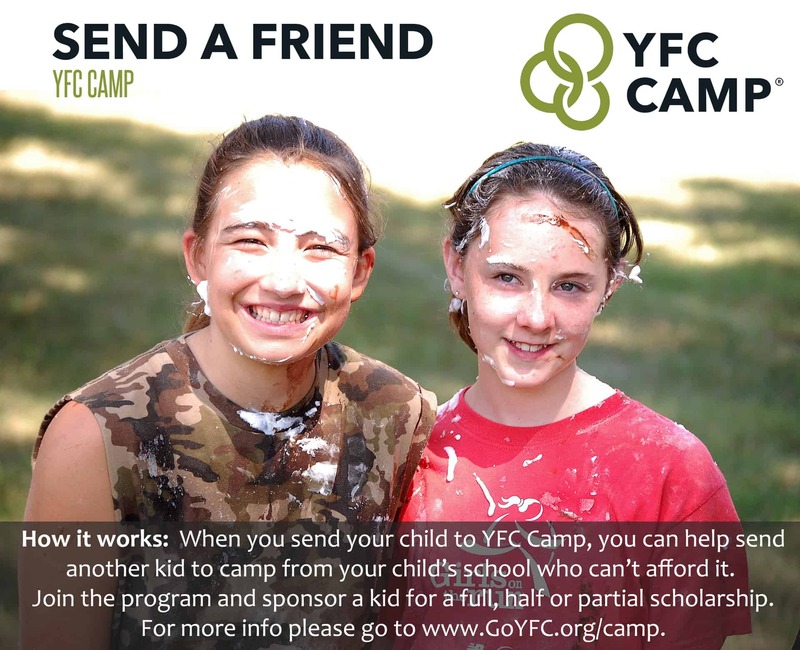 You are invited to join our SEND A FRIEND team! Choose the amount you wish to give ($100, $200, half scholarship or full scholarship). Know that your gift will go to a student from your student's school. Send in your donation (100% tax deductible). Our vision is clearer than ever before as we work in our community to reach every kid with the message of God’s love. Last year we had over 2,000 kids participate in Campus Life clubs in the Greater Omaha area. We thank God and celebrate for the opportunities we have to minister to kids! Make out checks to "Youth for Christ" and write "Send a Friend" on the memo line. Questions? Contact Brian Pruch at 402-699-4496 or brian@goyfc.org.